The UK Duo Royal Blood are back with their sophomore release via Warner Bros. Records titled “How Did We Get So Dark”. 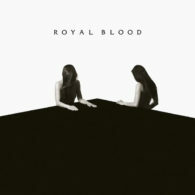 As the follow up to the bands successful 2010 release “Royal Blood”, the new album features 10 fresh tracks which were produce by the band along with Tom Dalgety and Jolyon Thomas. Having caught Royal Blood when they opened for the Foo Fighters on their “Sonic Highways” tour I was instantly amazed at the sizeable sound these two guys were able produce. Needless to say I was instantly hooked. The band’s latest offering “How Did We Get So Dark” is a bit of a departure from the group’s self-titled release as I found it lacking the punch and grittiness of its predecessor. Tracks like “How Did We Get So Dark” and “Hole On Your Heart” feature much more robust instrumentation and production which I felt took away from the group’s signature bass, drums sound scape. Thankfully tracks such as “Where Are You Now” and “Hook, Line & Sinker” brought back some of the sound that originally appealed to me. Though not an outright bad album “How Did We Get So Dark” is not what I consider a good album either. I applaud the band for stretching their legs while trying to expand on the limited possibilities of a two member group however, I think they may have strayed a touch too far from the signature sound that put them on the map making their latest offering one I just couldn’t get in to.